Tag Archives: How to dehydrate kefir grains ? How to dehydrate kefir grains ? People dehydrate kefir grains to keep a backup in case anything happens to the original set of grains. The dehydrated grains can survive till one year. 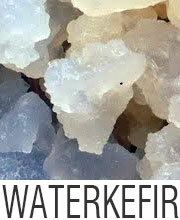 Moreover dehydrated kefir grains are so much easier to transport than wet kefir grains. There would be no concern regarding the liquid leaking out of the package if you transport dehydrated kefir grains to some place. When kefir grains are dehydrated, they become dormant. Hence you don’t have to worry about the packaging of the kefir grains. At first, rinse the kefir grains properly with water. It would be better if you use mineral water or purified water instead of tap water because the chlorine content in tap water is high. This is done to get rid of sediments which may have accumulated from fermentation. Now, lay out the washed grains on a paper towel to drip off the excess water. After the paper towel has soaked the excess water, lay the kefir grains carefully on a clean glass dish, a wax paper or a parchment paper. Next, cover the dish with a paper towel. If you do not cover it, the grains may get contaminated by flies and insects. Allow the kefir grains to dry slowly at room temperature. You will see that they have turned yellow and hard after some days. Alternatively you can use a food dehydrator to dry the kefir grains. You should set the dehydrator at the lowest temperature. However, this process is not much recommended because the kefir grains are quite sensitive to heat. 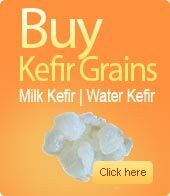 Generally, the kefir grains take 3-5 days to get dried. This is especially in the case of large kefir grains. If the grains are small, then it will get dried within 2 days. 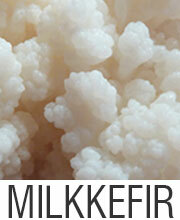 After the kefir grains are properly dried, you can store them in a freezer or refrigerator. Thus, you can see that dehydrating kefir grains is such a simple and easy process. 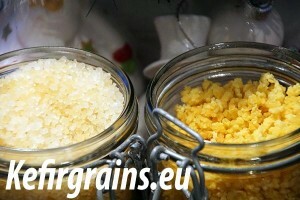 Kefir grains are usually of 2 types: water kefir grains and milk kefir grains. When you are dehydrating milk kefir grains, then you should rinse the grains with milk. The kefir grains would look quite smaller than their original size after drying up. The color will be yellowish and all the grains would be totally shriveled up. It is a wise idea to keep plenty of dried kefir grains as a backup. 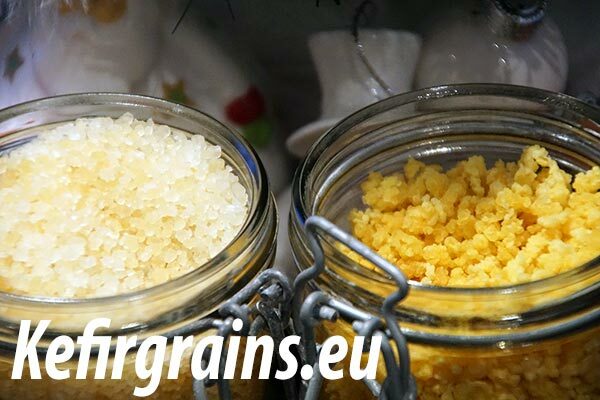 Tagged dehydrated water kefir grains, Dried kefir grains are the best option to store your grains, Dried milk kefir grains become a yellow color, How to dehydrate kefir grains ?, How to store kefir grains ?